Cole Conrad. Tyler Hoppes. Bryan Reimers. Gabe Rahn. Luke McNitt. Chris Weber. 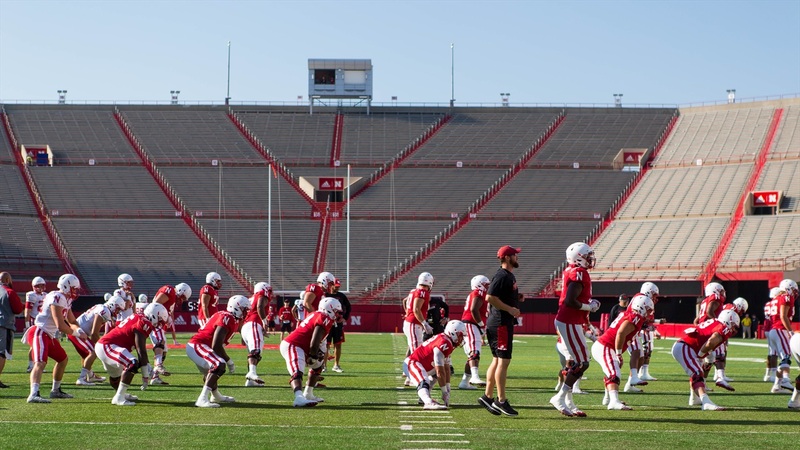 A quick scan of the projected Nebraska football depth chart shows former walk-ons all over the place, some in starting positions and others in reserve roles. Nebraska’s walk-on history is long and storied and a new player is set to join that group this season. Jeremiah Stovall is a walk-on cornerback from Omaha Creighton Prep and he has gotten snaps with the second team throughout fall camp. However, Stovall’s story is a bit different than most of the other walk-ons who have earned their way onto the depth chart. Stovall was a Super-State performer for the 2014 Class A runner-up Junior Jays as a defensive back (six interceptions, eight pass break-ups and 45 tackles), as a running back (75 rushes for 812 yards and 11 touchdowns as well as four catches for 58 yards) and on special teams as a returner who also blocked two kicks. However, Stovall did not see much recruiting action despite those senior year numbers and his situation was made even more difficult by his coach, Chris Nizzi, resigning amid legal troubles prior to the championship game. Instead of continuing his football career, Stovall simply enrolled at Nebraska as a student in 2015. He stayed active in intramurals to get his sports fix, but it just was not the same. Then he saw the call from the football program for walk-on tryouts. Stovall did just that, participating in the fall walk-on tryouts in 2015 in the hopes of catching the eye of one of the coaches. After the try-out was over, he had to wait for a phone call, a call that — for most of the students that participated — would never come. That wasn’t the case for Stovall, however, as one day his phone rang with some good news. “Once I got the call, they told me in January I’d be joining the team for the winter workouts,” Stovall said. Stovall joined the team and redshirted last season. He didn’t plunge into the situation blindly, however, he had the benefit of an older brother who spent two seasons as a walk-on for the Huskers. Zach Stovall, a stand-out corner from Bellevue East, joined Nebraska as part of the 2013 walk-on class. Those workouts paid off. The lack of depth at corner allowed him to get some significant snaps preseason practice last season, though he never saw the field during the games. Now, heading into 2017 after the loss of Chris Jones to injury and the defection of Elijah Blades from the 2017 recruiting class, Nebraska has “three starters” at corner in sophomore Lamar Jackson, redshirt sophomore Eric Lee Jr. and redshirt freshman Dicaprio Bootle, according to coach Donte Williams. After them, Stovall is right in the mix along with redshirt sophomore Avery Anderson and redshirt freshman Tony Butler, two players who moved to corner after working at safety last season. Despite his humble beginnings and with highly-recruited players all around him, Stovall has looked the part in practice this fall. Jackson, the team’s No. 1 corner with Jones on injured reserve, is one of Stovall’s biggest supporters on the team. Two years ago, Stovall was playing intramurals. Now, he has a very real chance of seeing the field for the Huskers at some point this season.